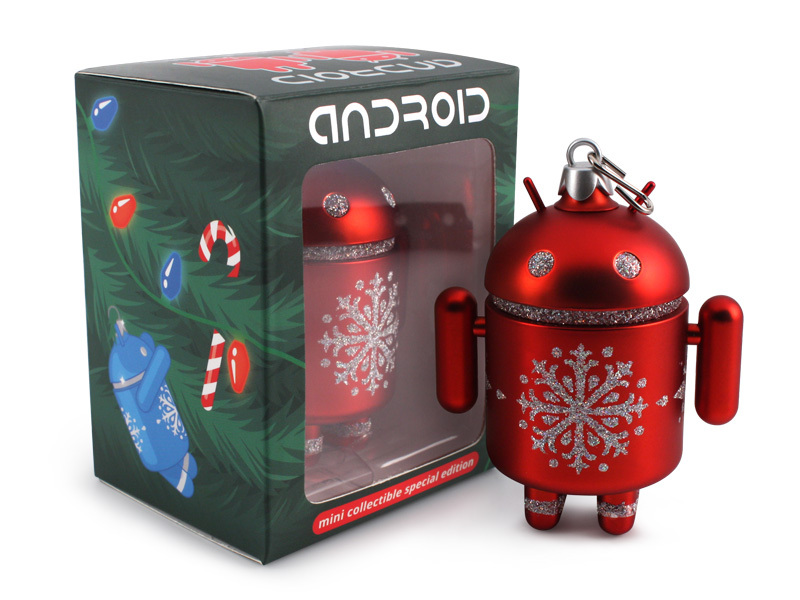 Ho Ho Holiday Androids & Playge Collaboration! 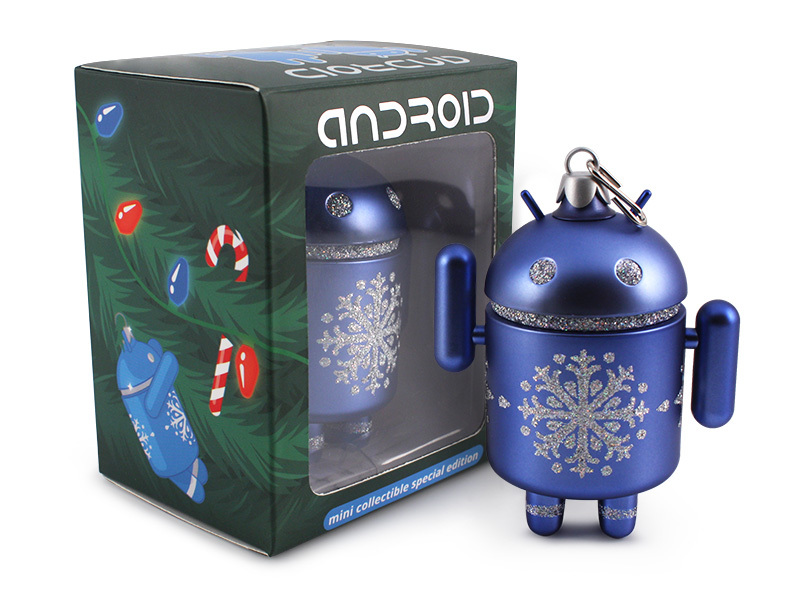 First up is our new holiday Android mini! 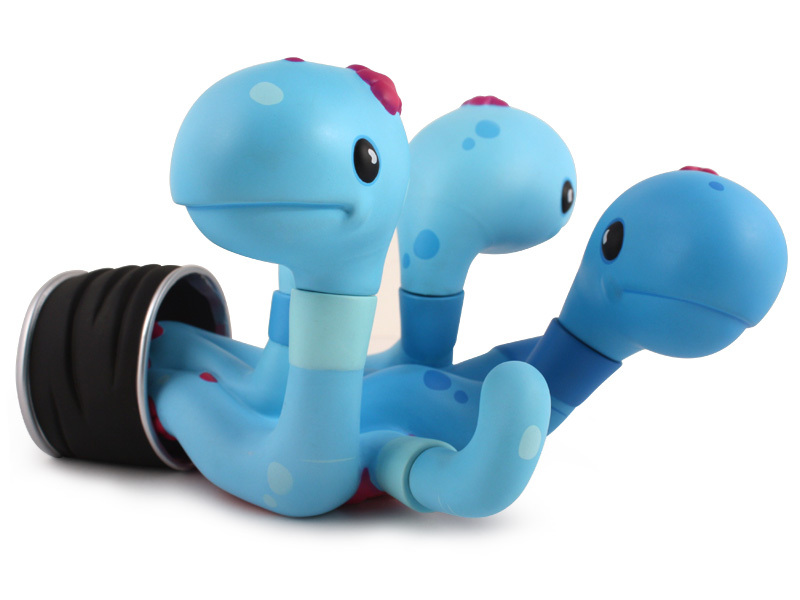 A little delayed, but luckily they should be here in time to be under.. or on the tree for our U.S. collectors! I’m afraid they’ll be a bit too late for our international friends this time around. The amazing designs of Series 04 are extra awesome, but unfortunately they took us a little longer than usual to get out to the world resulting in the Holiday Android production being pushed back a few weeks. Never too soon to get a start on decorating for next year, right? 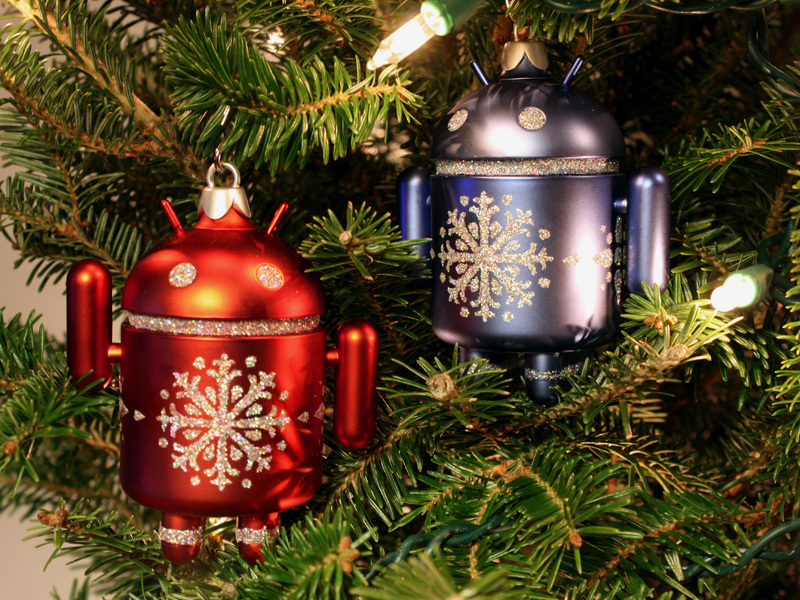 Ornamental Android comes in both blue and red matte metallic finish with silver glitter, an ornament topper insert, and a small metal hook. They will be sold individually for $10 each with a limit of 2 pieces (one red + one blue or two of one color, your choice!) BUT a limited quantity will be available in a special 10-piece “Tree Pack” that contains 5 red and 5 blue ornaments for $90! Quantities are limited! Sales start in the Dead Zebra Shop on Tuesday, December 10th at 11am EST and again at 11pm EST. Shipping starts towards the end of the week and through the week after. U.S. customers please select Priority Mail if you want to make sure you receive them by the 24th, you might have luck with First Class mail, but no guarantees! Sorry, we’re a bit too late for international orders to arrive in time! 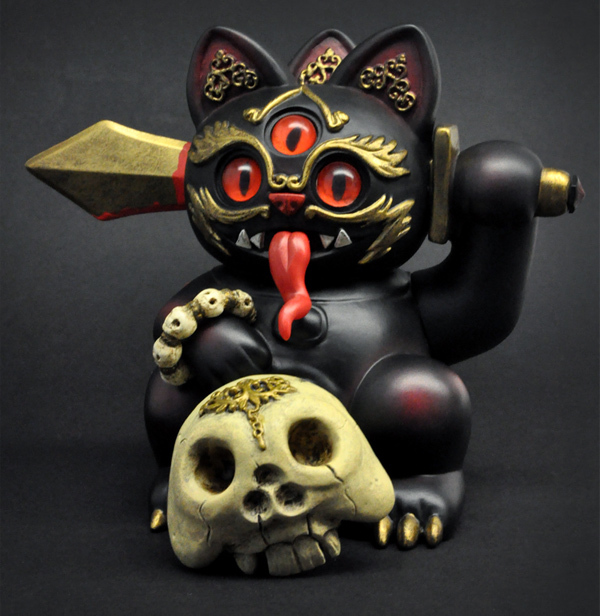 For those of you who are less glitter and more gore.. I’m happy to announce that the 9″ custom Misfortune Cat that I created a few years back has been turned into a production piece! Meticulously and magically miniaturized and translated by Playge into in 4″ of vinyl and abs, produced in an edition of 500pcs, includes cat and skull accessory. Available now at many toy and specialty retailers for around $55, a small set of signed and numbered proofs will be available in the Dead Zebra shop early next year. Rare European Blue Bloods emerge! Ahh, the exotic beauty of the Rare European Blue Blood Worms! These rare worms are found primarily in the dark and damp wine cellars of southern France where they spend most of their days seeking out puddles of spilled Cabernet Sauvignon to feast on. Emerging next week at the 2013 International Comic-Con in San Diego.. and MPH! Yes that’s right, we’re teaming up with our friends at Myplasticheart to make some cans available online at the same time! No more sitting it out or paying flipper prices just because you couldn’t make it to SDCC! 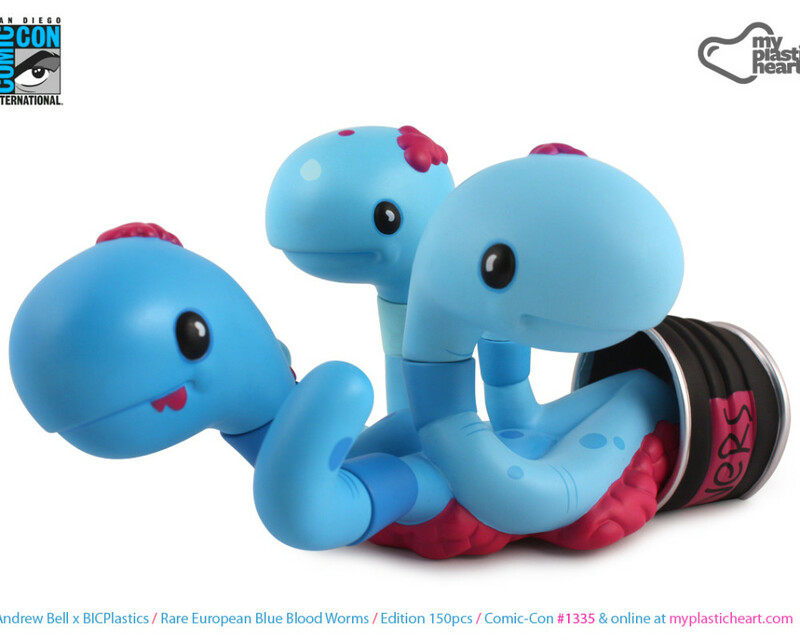 So, start digging at SDCC Dumbrella Booth #1335, or head to Myplasticheart starting Thursday, July 18th at 12 noon EDT. 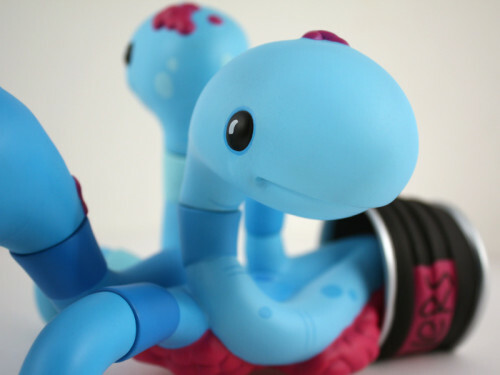 A-Type: Rai Blue edition info! This special Blue edition of the DZ x mphLabs collaboration is limited to only 50 pieces. Each figure is signed and numbered on the bottom of one foot..arm..hand.. thing and is exclusive to the Dead Zebra Shop! Who let the worms out? A new vinyl figure set from BIC Plastics is coming soon! Click through to the project page for more photos and details!